This week in South America: a former top Columbian security official is indicted for the murder of a critical journalist, Peruvian president-elect Ollanta Humala visits Bolivia, and recent revelations implicate the US Bureau of Alcohol, Tobacco and Firearms in fuelling Mexico's drug wars. Ceasefire's Tom Kavanagh reports. 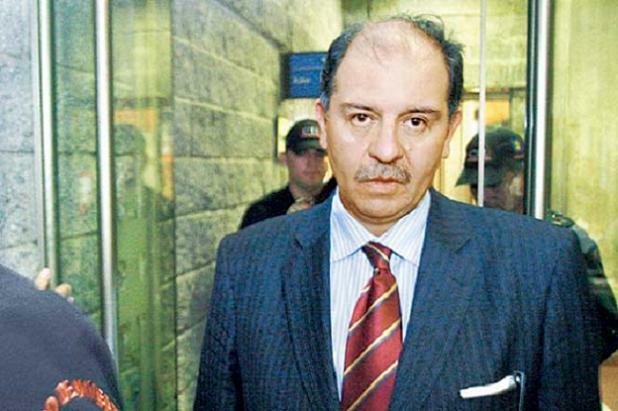 The former sub-director of Colombia’s DAS (Departamento Administrativo de Seguridad) intelligence services, José Miguel Narváez, has been charged over his alleged role in the 1999 murder of a prominent political satirist and journalist. Jaime Garzón was gunned down at the wheel of his car by two men riding an unmarked motorcycle in Bogotá in August of 1999. He had been a household name on Colombian television during the nineties, starring in several polemic comedy shows, and was known for his eccentric characters and anti-establishment humour. Garzón invited notoriety among the country’s ruling class not just for his brand of comedy, but for openly participating in negotiations to release prisoners being held by FARC guerrillas, clashing openly with senior military figures in the process. The charges of aggravated homicide levelled against Narváez accuse the former intelligence chief of having collaborated with paramilitary leader Carlos Castaño to organise the hit against Garzón. Castaño is currently serving a thirty-eight year sentence for the murder following a 2004 conviction. Authorities charge that the DAS sought to impede the original investigation into Garzón’s assassination, and the case relies in part on testimony from former senior paramilitary figures who have since decided to cooperate with the judiciary. Narváez himself is also presently incarcerated over his supposed involvement in the illegal wiretapping and surveillance of left-wing politicians and trade union leaders hostile to former president Álvaro Uribe. These allegations relate to covert intelligence and intimidation programmes orchestrated by the intelligence services on behalf of the government. In addition, Colombian authorities have evidence that Narváez was involved in the 1994 murder of a communist Patriotic Union party (UP) senator, Manuel Cepeda Vargas, also shot to death in Bogotá. 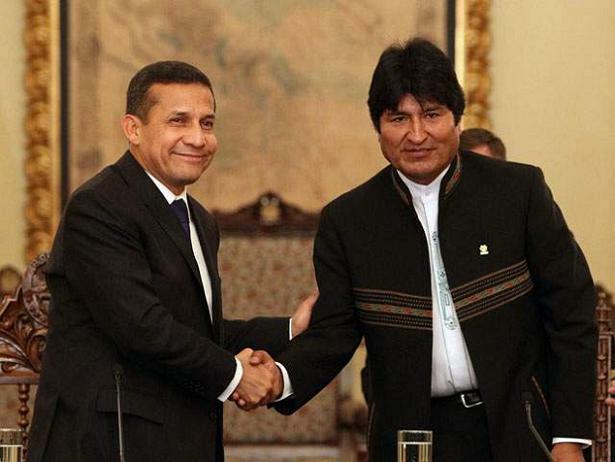 Peruvian president-elect Ollanta Humala arrived in La Paz early on Tuesday morning ahead of talks with Bolivian leader Evo Morales which are predicted to see the two countries deepen trade and mutual cooperation agreements. The visit is part of a rapid tour of South America that will see the victorious Peruvian Nationalist Party (PNP) candidate meet with heads of state in Paraguay, Uruguay, Argentina, Chile and Brazil. Humala won the second round of voting in Peru’s presidential election on June 6, taking 51.3% of the vote in a head-to-head runoff against Keiko Fujimori. The former army officer has pledged to renegotiate mining contracts in order to channel capital into poverty-alleviating social programmes and develop infrastructure, leaving foreign businesses with concerns in Peru anxious over the status of prized assets. The stock market took a 12% dip as news spread of Humala’s victory, which was ensured after a strong showing in rural constituencies where poverty is more extreme and people have yet to see the benefits from booming commodity prices which have buoyed the country’s foreign-owned extractive industries. Ollanta Humala emerged on top despite his opponent enjoying near-total support from Peru’s dominant corporate media and endorsements from overseas corporations which operate in the country. Keiko Fujimori performed more strongly in affluent urban constituencies, and took over 60% of votes in the capital, Lima. Her father Alberto was the nation’s president between 1990 and 2000, and is currently serving a thirteen and a half year prison sentence for human rights abuses and corruption offenses committed during his term. Fujimori had promised to maintain favourable conditions for foreign investment and “uphold the rule of law”, and it is frankly astonishing that she attained nearly half of the runoff vote in a country where her father’s government was orchestrating death squads and forcibly sterilising thousands of poor women not twenty years previously. Humala, who takes office at the end of July, has said that he admires the pragmatism and more moderate reform agenda espoused by former Brazilian president Lula da Silva. This has led many analysts to the conclusion that he is likely to eschew the radical approach put into practice in recent years in Venezuela and Bolivia, however some investors remain unconvinced. Successive Peruvian governments have diligently followed the neoliberal model of massaging foreign capital, ruthlessly suppressing any grassroots opposition to the excesses of overseas firms operating in the country and as such alienating swathes of the indigenous rural population. One such example took place in early April, when police killed two protesters and left 51 injured when they intervened in order to break up a protest against Mexican mining firm Southern Copper in the south eastern Arequipa region. Humala repeatedly condemned the use of state forces and private security firms to crush protests against foreign mining companies during his campaign, aligning himself with the body of Peruvians who feel their country has been sacked and their resources exploited with little discernible benefit for the majority. Millions of people still lack clean running water and basic services throughout much of the country. The United States Bureau of Alcohol, Tobacco and Firearms (ATF) purposefully allowed hundreds of assault weapons purchased in the United States to find their way into the hands of Mexican cartels embroiled in the ongoing battle for control of key markets and trade routes that continues to rage south of the Rio Grande. ATF agents have gone on record to express their disgust at being told by superiors to allow illegally acquired guns to remain in the hands of violent criminals without interdiction so as to “monitor” their use, with the justification given that authorities were hoping to find out which major cartels buy shipments of weapons through surrogates stationed in the United States. Bureau officials approached gun shop owners in Arizona and other states, instructing them to illegally sell weapons to individuals who they suspected were not purchasing them for personal use, assuring businesses that the ATF would intercept the firearms as part of an ongoing sting operation. Once the guns were in the hands of traffickers, the ATF refused point blank to allow its agents to intercept them. President Obama and Attorney General Eric Holder have both denied any knowledge of the scheme. Over 40,000 people have been murdered since late 2006 in Mexico, with the border region especially volatile. ATF agent John Dodson said that he and his colleagues were ordered by superiors to watch and take notes as “handguns, AK-47 variants and .50 caliber rifles” passed into the hands of some of the world’s most ruthless armed gangs “on a daily basis”. Around 1,700 weapons are believed to have ended up on Mexican soil as a result of the programme. “Operation Fast and Furious”, as one offshoot of the strategy was named, drew anger from ATF agents incredulous at being repeatedly ordered not to arrest people involved in trafficking illegal firearms. Agents were instead ordered to follow the weapons’ trail, potentially endangering the lives of hundreds of innocent people. The Mexican government estimates that around 150 people were killed or wounded in incidents involving guns tracked as part of the operation. A congressional report released this week entitled “Halting U.S. firearms trafficking to Mexico” focuses on the issue of gun control inside the United States as central to resolving the conflict, fuelling suspicion among second amendment activists that elements within the government are deliberately allowing the violence in the Mexican border region to escalate as a pretext to restrict the domestic sale of firearms. The report ignores the illegal status of the lucrative products which are the overriding incentive to participate in what has established itself as one of the most bloody and intractable conflicts witnessed anywhere in the world in recent years. Both the Mexican and US governments have steadfastly rejected the notion that decriminalising marijuana and other illicit substances would reduce the overall level of violence. Meanwhile, a journalist was murdered together with his wife and their 21-year-old son at his home in Veracruz in the early hours of Monday morning. “Milo Vela”, as Notiver reporter Miguel Ángel López Velasco was known, had been warned as far back as 2007 to remain silent or face the consequences, and is but the latest journalist to be targeted by the cartels. 68 journalists have been confirmed murdered in Mexico since 2000, with another 13 still regarded as missing persons, and Vela is the first to perish in his own home since 2003.